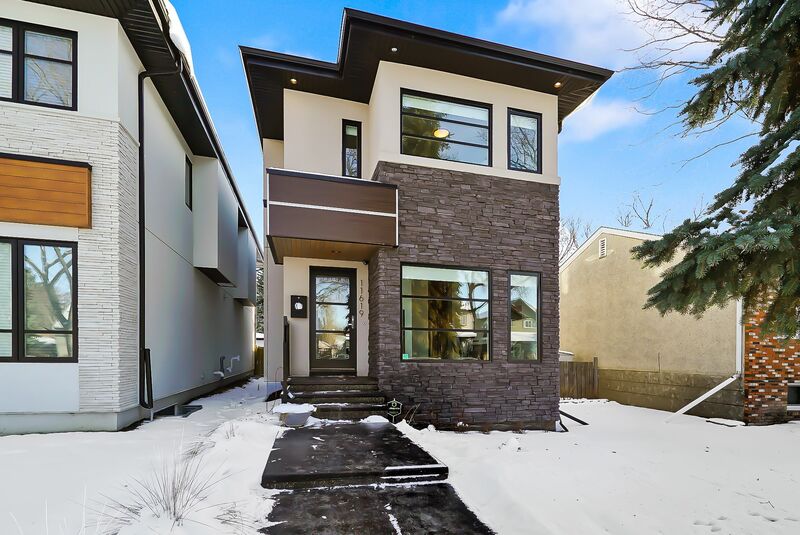 Stunning 2 Storey Home in the Heart of Inglewood, steps away from the Park, Community League & Much More! Great Value! Your home features fantastic floor plan situating your home office at the front of the home, an open-concept chef's kitchen w/a large walk-through pantry, cured concrete countertops, tiled backsplash, upgraded SS appliances including: built-in oven, built-in steam / microwave oven, electric stove top, sit-up island, under-mount sink, & sit-up peninsula; huge living room w/NG FP over your built-in shelves; a stunning staircase w/glass wall; & nice front & rear entranceways. The 2nd floor features: 3 bedrooms ( including large master w/huge walk-in closet ); nice laundry room w/sink & cabinets; a full, 4-piece bath; & spa-like 6-piece en suite off the master w/barn door. The fully finished basement comes w/large 4th bedroom; 3-piece bath; & family room. Laminate, porcelain tile, & carpet throughout plus 9' main & basement ceiling height, recessed & upgraded light & plumbing throughout! !